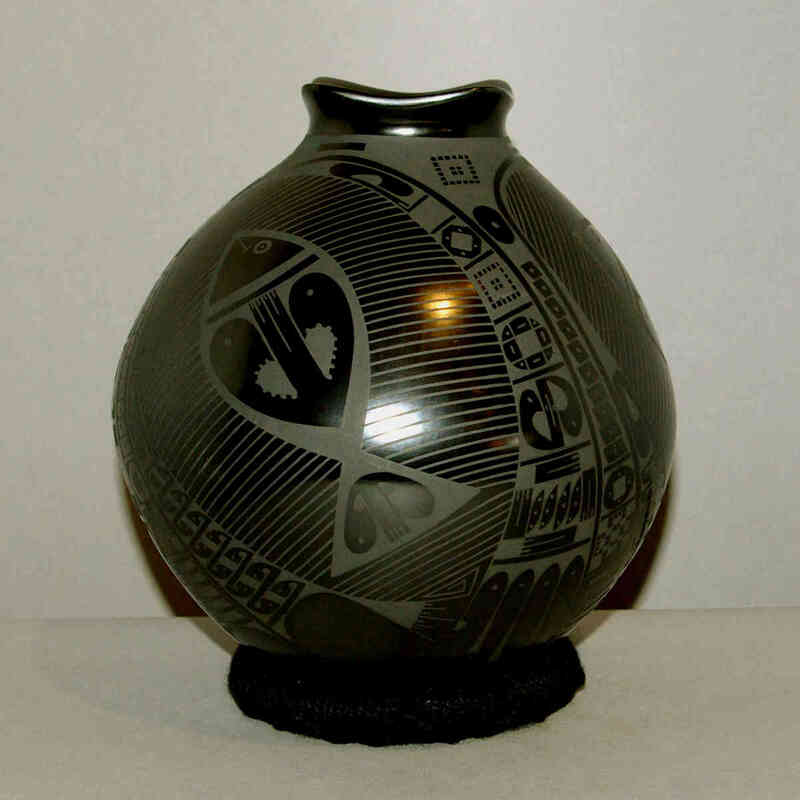 Oscar Gonzales Quezada is the oldest son of Consolacion Quezada. 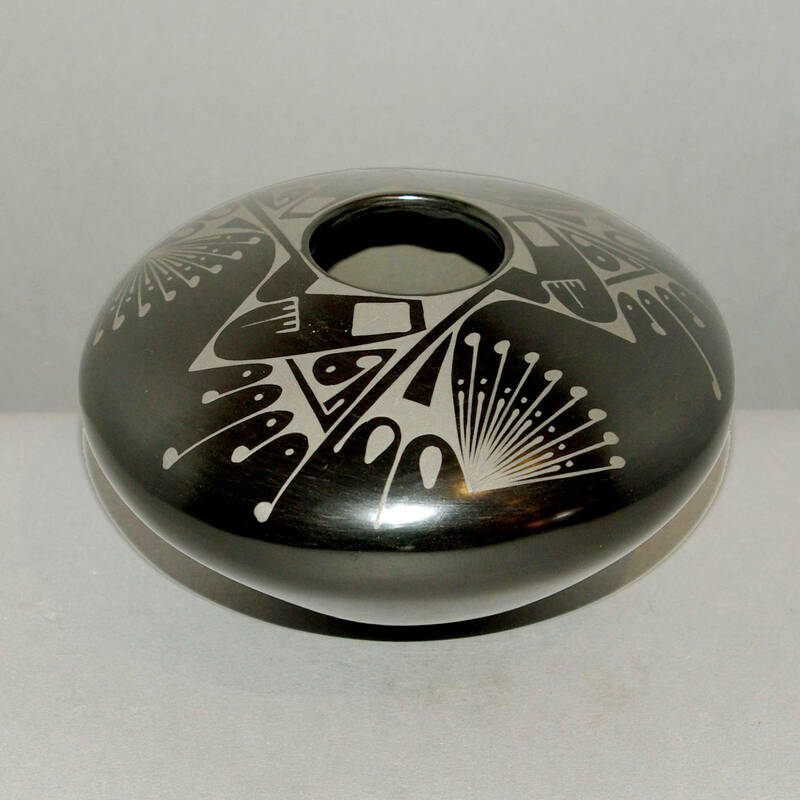 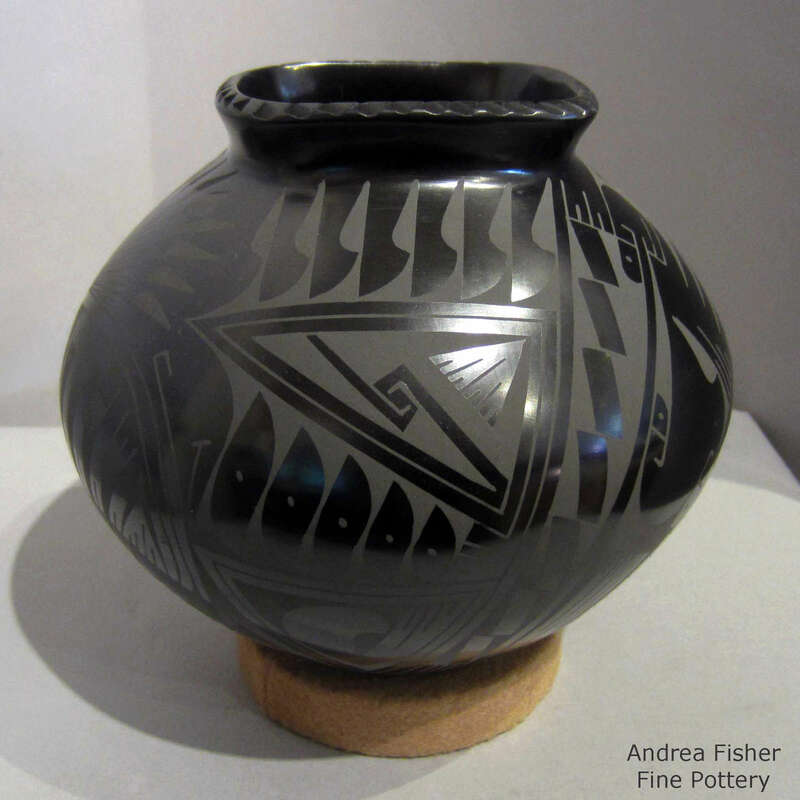 He was probably the first member of the second generation of Mata Ortiz potters as he began making pots only a few years after his mother did, in the late 1970's. During that time he also worked with his uncles Nicolas and Reynaldo and assisted his mother with forming and painting her ollas. 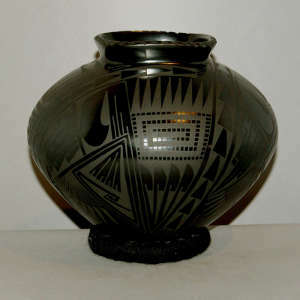 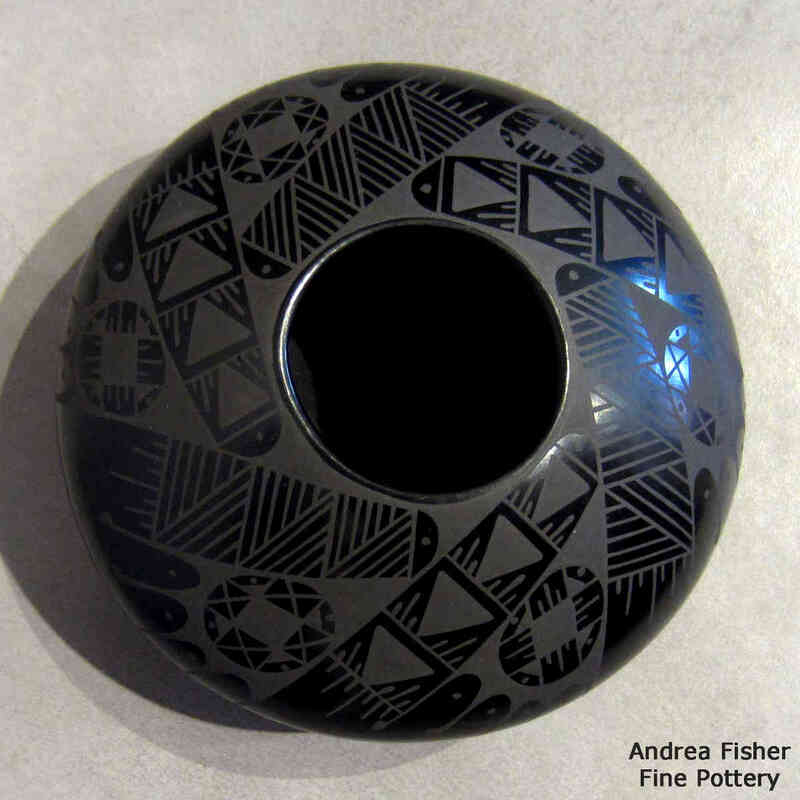 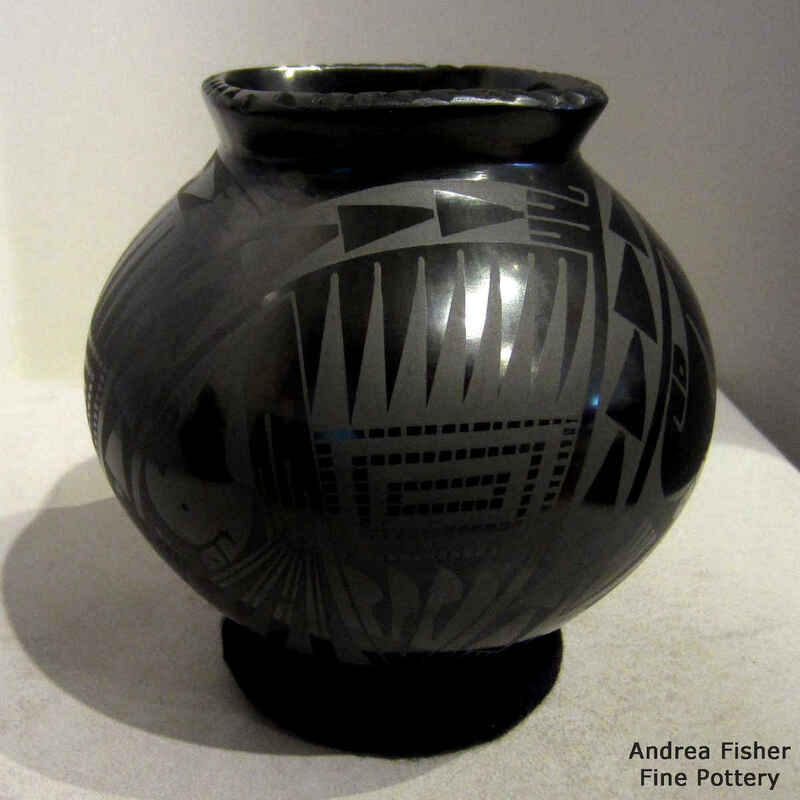 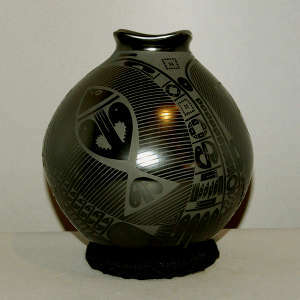 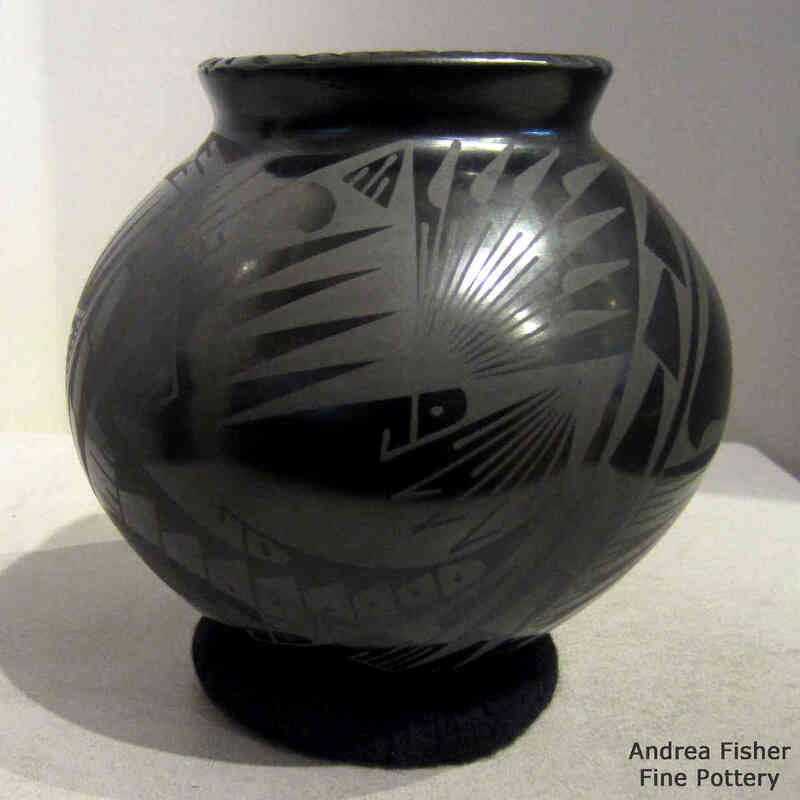 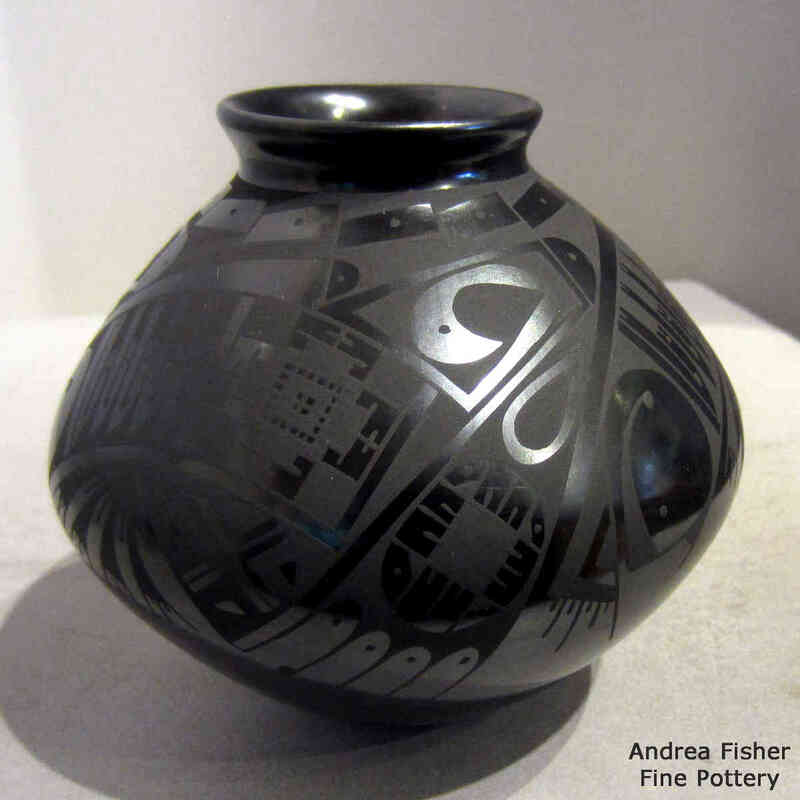 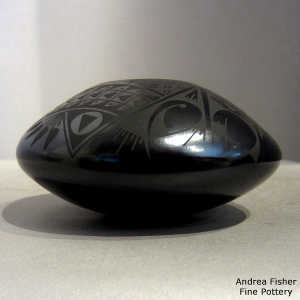 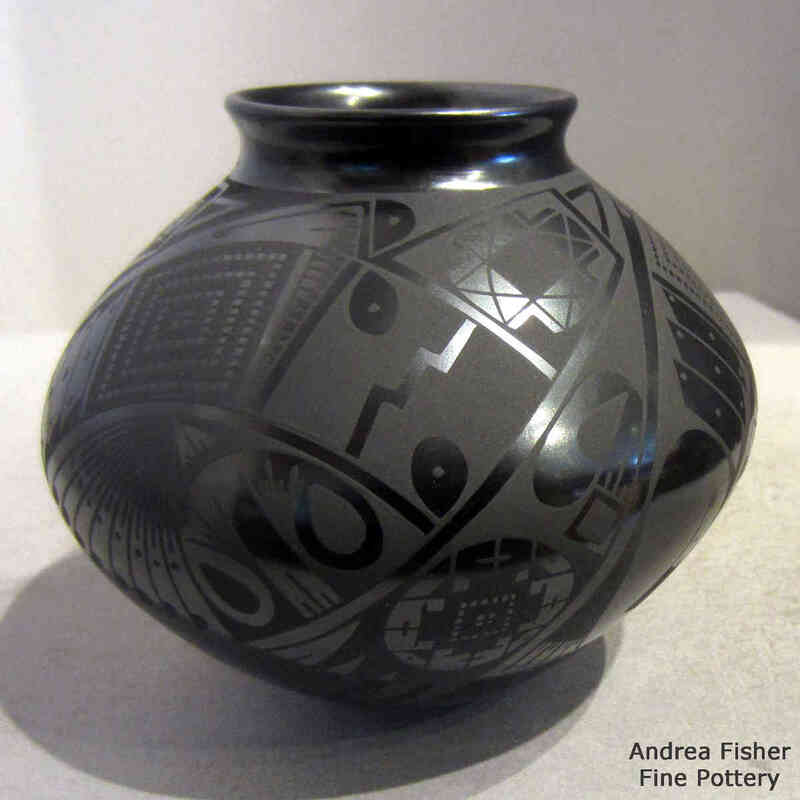 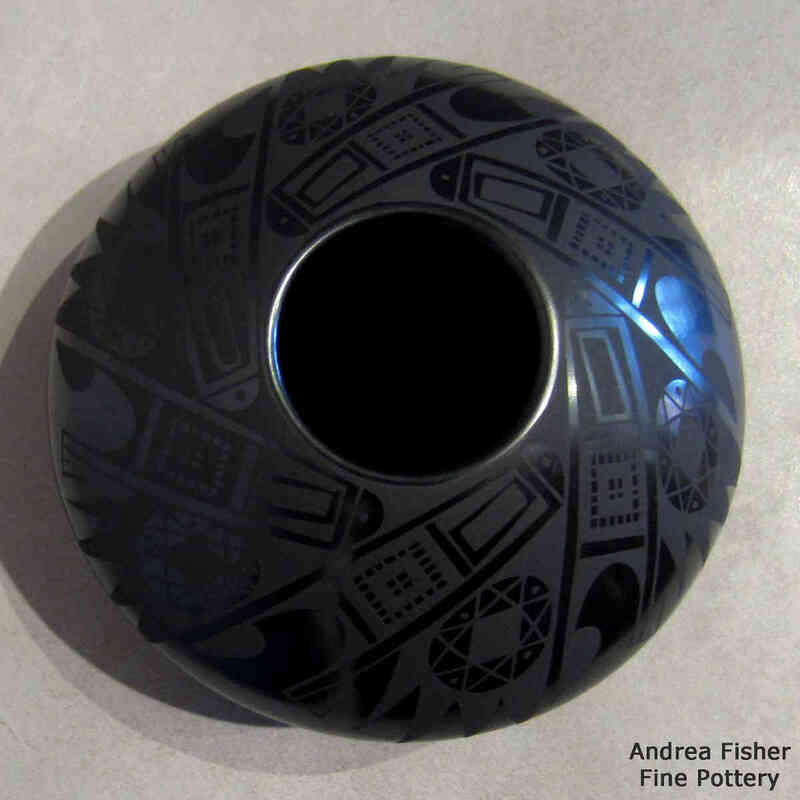 He seems to like producing pots and effigies decorated with Paquimé and Mimbres designs.